Senor Juan Carlos "Kyron" Mendizabal (here with a couple friends) is at the least one hell of a prolific sound artist. 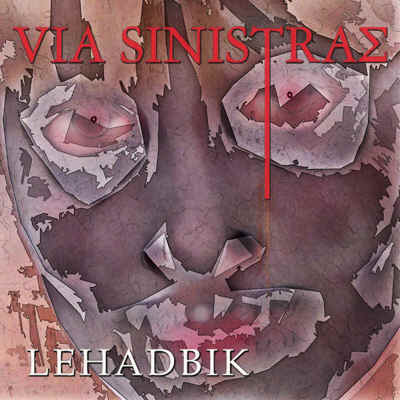 The album is essentially a combination of dark ambience (or "sinister", as the artist name suggests) alternating with more programmed rhythmic pieces. As with the Griddle remix project reviewed a few months ago, I'm finding many of these tracks to be expendable, especially in light of how over-plowed this ground has become, though there are some notable exceptions and a stronger second half. Loops, samples, treatments, wordless vocal wails, and yet a clear minimalist sound, though people like the Orb pull this off more effectively due to the sheer intensity or unique texture of the exploited tone. Kyron enjoys the art of the segue, which holds the 18 tracks together as one flowing piece and yet most of the tracks are rather distinguishable, so the album at least never becomes static... haunting cavernous interludes, some more striking than others. My favorite piece is the wicked "To Pan", a deep raw trip-hop groove alternating with stuttering percussives. For those that appreciate a massive beat. The book-ending segue-fades are used to the best effect here. The album closes with a solid set: "Courageous Mutation 3" sets a nice melodic tone with a propulsive rhythm and pleasant fx. Indeed this one may have been cut a bit short. The heavy groove of "Hidden Veins" is augmented by a freaky whistle effect and cool in-and-out fades of electronics. Enter "The Story of Don Florentine", a creepy interlude of low waves of tronics and sparse pluckings. Overall tone seems to be getting a tad demented here>... fade into the carnivalesque "A Vast Stretch"... and finally: "Once We Were Gods". Pleasantly spaced ambient mood, yet overlaid with various bizarre and far-out vocal sounds, especially enjoyable is the diva whose plaintive wails take the lead at the end.